The trend of big activity is continuing for our market. Recent news of the Fed raising the Prime Rate to 4.25% could cause our summer market to be busier than normal as people make the decision to buy before the long term rates are affected, possibly going up as high as 6%, according to history. Total Sales: Total sales (245 Units) for May are at their highest level since January 2005. Additionally, the total volume sold is at its highest level since 2005 (>$80 million). Under-contract – Units listed as under contract declined by 3% due to the record number of unit sales in May and the normal seasonal decline; however, with 461 units currently listed as being under contract, June sales should also be impressive. New Construction: As of April 2017, the number of new construction building permits were down 32% compared to last year and total building permit value was down 47%. Days on the Market: For all residential properties listed in the MLS, the average Days on the Market has dropped dramatically to 135 days; however, when looking at just properties listed in the MLS since January (1488 units) the average Days on the Market calculation drops to 57. How Sold: In our market, 58% of all sales use conventional loans, 22% are cash, 8% are VA, 5% are FHA, 3% are jumbo. USDAA and Other account for the remaining loans (4%). Distressed Sales: After experiencing a steady decline for years, Bank Owned property sales were up 18% in May. Short sales continue their downward decline and are down by 7%. Inventories: Housing inventory was down by 8% in May. The following is a summary of the Outer Banks market as a whole, reported by the Outer Banks Association of REALTORS and reprinted with permission. Total Existing-Home Sales: Existing home unit sales are up 19% compared to 2016. Under-contract – With 473 units in an under-contract status, sales in May should rise dramatically. New Construction: New Construction building permits are down 31% compared to last year and total building permit value is down 20%. Days on the Market: For all residential properties listed in the MLS, the average Days on the Market was 162 days; however, when looking at only the residential properties listed on the MLS since January 1, 2017 (1157 units), the average days on the market was 50 days. All-cash Sales: Nationally, 23% of all home sales are for cash. Locally, we are also selling at the national average. Distressed Sales: Bank Owned properties and short sales made up 7% of all residential property sales in in April. So far, this year, short sales are down by 25% and bank owned sales are up 19%. Inventories: Housing inventory was down by 15% in April. What are the clear bright spots in this report? Inventory is down, which is desperately needed. And, those sellers willing to price the home in today’s market are rewarded with a fast sale. Remember, most buyers will spend 12 to 18 months looking around before purchasing a second home. So they know what a good value is. When it hits the market, they are ready to move! They are also ready to pay close to the asking price. So what does this mean for your home’s value? The areas of Corolla and Duck are still quite a mess. Southern Shores is doing somewhat better. There are 3 main things to pay attention in the real estate market right now. We saw another rate drop today, bringing us to a new low in the last 3 months. Residential home sales (actual closed deals) are up 22% over this same time last year. The number of homes going under contract are also up by 22%. The market is SUPER active right now. The homes in the best condition with the right price are even getting multiple offers. We are also seeing a lot of homes selling in less than a month with that same strategy. If you’re thinking of buying or selling a home this year, contact me for a consultation. It’s exciting to have some good news to report! While the number of homes closed in January 2017 was identical to 2016, the number of homes going under contract is up considerably. Closed sales for January, reflects homes that went under contract in November or December of 2016. There were 111 sold in 2016 and 112 in 2017. Not bad for a resort area. However, in January this year we saw 231 properties go under contract. The last time the number for January was this high was in 2006 at 263. Something happened in the last 30 days to create some amazing consumer confidence. I’m super thrilled for this year’s activity!!! If you are interested in selling your home, there’s NO REASON to wait until March or April. The market is here NOW. If your home is already on the market and not selling, chances are you are priced too high. It’s difficult to accept today’s prices, no doubt. Inventory levels are still too high to see appreciation. It’s unclear how long it will take to recover, since we are still in the midst of the cycle. If you’d like to find out what your home could sell for now, click here and I’ll get you a free analysis! If you’re interested in making an investment on the Outer Banks, click here to find out what you need to know before buying in the area. With the change of governorship in NC during the November election, it remains to be seen what the state’s position will be on the importance of this bridge project. Governor McCrory was very committed to the project, as was his team on the DOT. We have yet to hear what Cooper’s stance is. With his main guy at the DOT being formerly involved with the EPA, it’s not looking good. I wanted to know why the SELC is reporting a new study shows the traffic patterns would be lower than originally predicted. In my research I found that it turns out the DOT changed their traffic numbers and projections based on national trends and actual observed traffic counts. So, basically what happened is DOT put out new numbers, and SELC pounced with another opportunity to squash the project. While their argument is the same as it has been from the beginning, with the DOT’s own reports now showing a different projection in numbers, will the decision to build the bridge be sustained? That coupled with new leadership has me feeling a lot of doubt that it will happen. Happy New Year! I’m really excited about what’s to come in 2017 for the real estate market on the Outer Banks. There seems to be a burst in consumer confidence, and I hope that positive effect comes to us in full force. We definitely need it! The big question on everyone’s mind is still about price. We have already seen the interest rates tick up a bit. That definitely makes it a little more challenging for prices to rise. The other issue is of course, inventory. While our inventory levels are down quite a bit, 14% to be exact, we still have an over 12 month supply of properties for sale, in the overall market. In a few of our specific markets, like Duck and Corolla, the inventory levels are much higher, nearly 24 months’ supply. The number of buyers would have to triple to bring inventory to an 8 month supply. Which is still slightly high. With the latest bridge developments, I’m not sure why the number of buyers would go up that much. So those areas could still be plagued with an extreme oversupply of inventory, continuing to suppress the pricing. Meanwhile, the opportunity to buy a home at a great price, with great rental income is high! Click here for the checklist of what to know before buying on the Outer Banks. If you’re thinking of selling this year, let’s chat about what I can do for you! 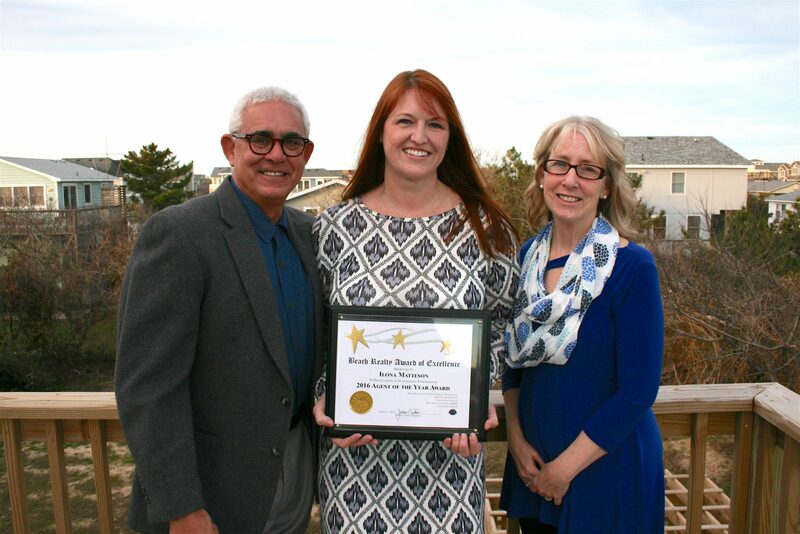 Ilona Matteson, associate broker for Beach Realty & Construction / Kitty Hawk Rentals, was named the company’s agent of the year for the second year in a row. Ilona also earned agent of the year honors in 2012. 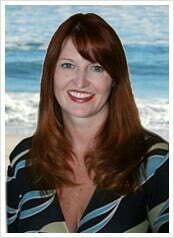 Ilona was licensed in the late 1990’s and became sales manager for Beach Realty in 2002. 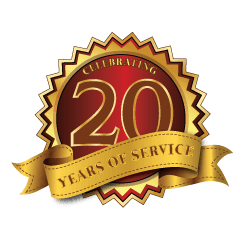 In 2006, she moved to Richmond, VA and was affiliated with a national coaching company where she excelled as a one-on-one coach for real estate professionals. The allure of the Outer Banks brought her back to the beach and she resumed her career in real estate sales. She quickly became a top producer and attributes her success to hard work, discipline and in-depth knowledge of the local market. Along with her successful career in real estate sales, Ilona also offers training and coaching to the sales team at Beach Realty & Construction. Here is a list of the top 7 items I discuss with any new buyer who is looking for their vacation or investment home on the Outer Banks. Be prepared for 20% or more down. Depending on your situation, the bank may require more (like when buying a condo) because it’s not your primary residence. You can use up to 75% of the rental income the home generates in order to help qualify you for the mortgage. You will need at least a three-year history. Keep in mind, this will mean you have to apply for an Investor loan which does carry a slightly higher interest rate. If you buy a foreclosure, you’ll have to re-furnish the home and buy it as-is. For some reason, the banks just haven’t figured out that the furniture in these vacation homes is valuable and needs to stay. The local county and city taxes are very low here. We generate so much revenue from the weekly guests in Occupancy Tax and in Transfer Tax on the sale of a home, that the annual taxes can stay very reasonable. Property Management fees vary based on the services you select from the Manager. It’s sort of an a-la-carte situation these days. How much you want the Property Manager to do for you will determine the percentage you’ll pay. The Median Sales Price for a home on the Outer Banks in June 2005 was $507,000. In December 2016, it was $315,000. NOW is a GREAT time to buy your vacation home! For more information on how to get a home of your own on the Outer Banks, call today! As of last week, “October 2016”was listed on NCDOT’s Mid-Currituck Bridge web page as the month that that the Record of Decision was supposed to be released. The project timeline on the site has now been updated and states that the Record of Decision is expected Spring 2017. As noted below, the Record of Decision is typically a huge hurdle for large-scale transportation projects and is extremely significant because it closes the chapter on the environmental study process. Project planning and implementation of the Mid-Currituck Bridge was placed on hold in 2013 while NCDOT reviewed state, regional and local transportation improvement funding priorities using the Strategic Mobility Formula. The project has since been approved for inclusion in the 2016-2025 State Transportation Improvement Program (STIP), and now, work toward a Record of Decision (ROD) is underway. An amendment to the STIP calls for NCDOT to start the dedication of state transportation funding in fiscal year 2017 (which starts July 2016) that will be used for bridge construction. The STIP originally called for the dedication of funding to begin in fiscal year 2019. As part of working toward a Record of Decision, the Environmental Impact Statement (EIS) is being re-evaluated to determine if a supplemental EIS is required. Because it has been more than three years since the approval of the Final EIS in 2012, this re-evaluation will consider changes regarding the project, its surroundings, impacts and any new issues, circumstances or information that was not considered in the original document. The re-evaluation will also look at any changes in laws or regulations that apply to the project. If the re-evaluation process concludes that the information presented in the Final EIS is an accurate analysis of anticipated project impacts, the Record of Decision will be published signifying the completion of the environmental study process. Additional activities to take place before any construction begins include: developing a new traffic and revenue study and toll financing plan, selecting a builder, preparing final design plans, acquiring right of way, and obtaining environmental agency permits.